We are proud to announce that our friends at Milgard Windows & Doors were named #1 in vinyl window quality nationwide by Builder Magazine, the leading media brand for the residential construction industry. 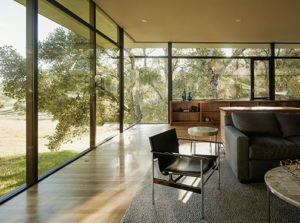 This marks the 9th win for Milgard in the vinyl window quality category! The Builder Brand Use Study surveys qualified builders, developers and general contractors who were asked to rank quality, usage and familiarity of different brands across over 50 building product categories. Professionals rely on the annual the BUILDER Brand Use Study to learn about trends and top brands. 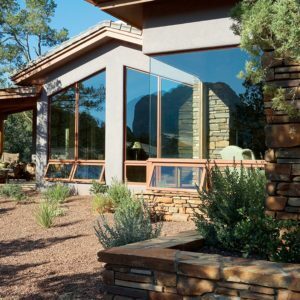 Milgard uses their own vinyl components and manufactures all of their vinyl windows in-house to ensure on the best quality. Each Milgard product undergoes extensive testing and must adhere to strict requirements in order to meet third party certifications for performance. Here at Fusion Windows we are proud to carry Milgard’s high quality vinyl windows. Give us a call to learn more about Milgard today! Andersen E series is now on the City of San Marino’s Pre-Approved Window List. Architects and Builders will now be able to specify Andersen E series on their projects. Many of you have asked over the years, why is Andersen not on the Pre-Approved Window List for the City of San Marino? Well, ask no more! You can now find Andersen’s E series on the City’s Pre-Approved Window List. Both architects and builders will now be able to specify and buy Andersen E series on their projects in San Marino. The Andersen E-series Windows and Doors is a part of the Architectural collection and lends itself to the creative potential of realizing your dreams. This product line was created for the visionaries among us who just won’t settle for ordinary. Between other Andersen Windows and Andersen Doors, it is their most customizable product. Give us a call or stop by our showroom in Burbank to find out more about using Andersen for your next big project or renovation in San Marino. Enjoy another great renovation by our reliable and resourceful team at Fusion Windows and Doors! This 1947 single family residence in La Canada is located in one of the area’s most desirable neighborhoods. Fusion Windows and Doors updated this home by installing Andersen 100 Series single-hung black interior and exterior. Andersen Windows and Doors is the largest window and door manufacturer in North America, and at Fusion Doors and Windows, we are proud to sell and install this environmentally friendly, high-quality manufacturer as a part of our quality family of products in Los Angeles. Andersen’s 100 Series is the smart alternative to vinyl. 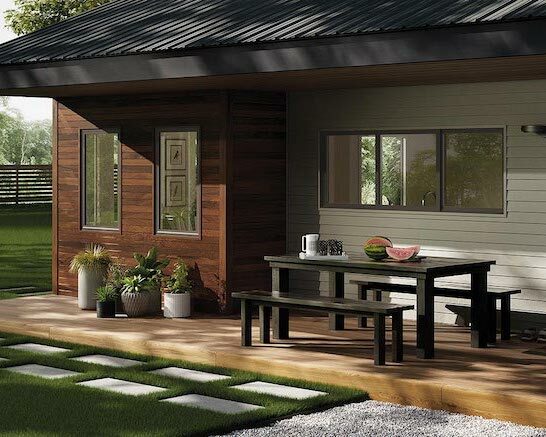 These budget-friendly windows and patio doors are engineered with Fibrex composite material for durability, sustainability and energy-efficiency. Andersen’s 100 Series is twice as strong as vinyl, and provides low-maintenance exteriors with clean corners for a refined look. We always welcome homeowners, designers and contractors to contact us and let us help with window and door installations, and remodeling. Hope to see you at our showroom in Burbank! Don’t miss out on Milgard’s best offer of the season! Receive an Amazon.com Gift Card for a minimum purchase of FIVE Tuscany Series, Hermosa Series, Trinsic Series or Style Line Series windows and/or ONE Tuscany or Trinsic Series patio door from January 7, 2019 through February 28, 2019. $1,000 maximum payout per household. Fill out our online form or call us at (818) 245-8484 and let us know you’re interested in this offer! California’s devastating wildfires are being contained, but there is still a lot of work to be done. If you or someone you know has a home that has been affected by a California wildfire, and needs products or services that we offer, please let us know. We are working one on one with families and individuals who have been affected by the fires, and will be working with our suppliers to provide you with special pricing. If you know someone that will find this information helpful, please share this with them. Sunlight is a huge factor in reducing bacteria found in household dust. Recently an important new study by a team at the University of Oregon’s Biology and The Built Environment Center was able to determine that sunlight plays a huge factor in reducing bacteria that can be found in common household dust. This discovery has proven that in order for buildings to act as a healthy space for human occupancy, high performing windows should be regarded as a health requirement for building regulations. The University of Oregon’s study showed that sunlight filtered through today’s high-performance coated glass results in about 50% less bacteria in household dust, compared to when dust is left under non-illuminated conditions. Ultraviolet light also acts as a sterilizer, reducing bacteria counts. The bacteria that survived less within the day-lit rooms were linked to the germs that are known to cause human respiratory infections. In the 1850’s Florence Nightingale, the founder of modern nursing, believed that direct sunlight possessed a purifying effect and prescribed it to her hospital patients. By the end of the 19th century, the Journal of the American Medical Association officially referred to sunlight as “nature’s disinfectant”, using it as a way to treat Tuberculosis. Fall in Love with Milgard’s Window & Patio Door Autumn Savings Event! Here at Fusion, we are knowledgeable about working with historic homes and historic building owners who are considering window replacements and the specific concerns that come with the project. Residents of Glendale, California reside in neighborhoods that are rich with history. The City created their historic districts in order to preserve these remarkable communities and their classic characteristics. 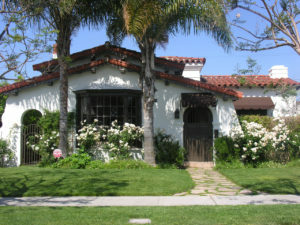 If you own a historic home or building in Los Angeles and are considering window replacement, you’ve come to the right place. At Fusion, we are very familiar with the opportunities available when working with historic buildings. If your home is a contributing structure in a designated Historic Preservation Overlay Zone (HPOZ) or a historic cultural monument, The City of Los Angeles can help you rehabilitate, restore, and maintain your building with a financial incentive. (See a list of all HPOZ zones below). Thanks to The Mills Act Historical Property Contract Program, historical building homeowners are able to receive a potential property tax reduction, allowing them to put that extra money towards the renovations and repairs that the property needs. The Mills Act has been assisting qualified historic property owners with tax relief since 1996, benefiting nearly 900 properties in the City of Los Angeles. Owners of income-producing properties that are listed in or eligible for the National Register of Historic Places may take advantage of a 20% Federal tax credit. The credit is 20% of the amount spent on qualifying historic rehab expenditures.